Arriving at just the wrong moment in time, 2016's all-female Ghostbusters failed to jumpstart the long-dormant franchise in the way fans and producer/longtime director Ivan Reitman hoped. But Reitman has always maintained it wasn't the end, and now he's found just the right director to make ghost busting hot again. So who's he gonna call? His own son, Juno and The Front Runner director Jason Reitman, and this won't be a reboot. Reitman will direct and co-write with Gil Kenan (Monster House) a new Ghostbusters that will be set in the same universe as the two classic '80s films. THR adds that the characters will be teenagers, consisting of two boys and two girls. This opens up the possibility of the original characters played by Bill Murray, Dan Akroyd, and Ernie Hudson to come back. Sadly, Harold Ramis passed away in 2014. The 2016 Ghostbusters gets wiped off the map as if it never existed, with Reitman confirming none of those characters will appear. That, to me at least, is a shame. 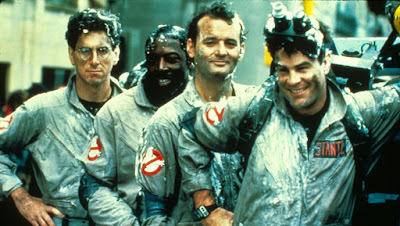 Kept in secret for months, Reitman's Ghostbusters will start shooting this summer with early plans for a 2020 release.